This is an example of a Operational Qualification generated from the FastVal installation qualification template. Download a sample operational qualification, based on the Fastval Operational Qualification template. 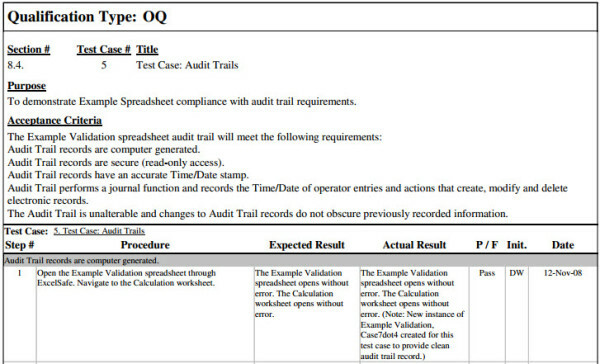 Download a sample executed executed operational qualification.